Opened on May 29, 1998, McCoy’s Firehouse Bar & Grill occupies a historic building built over 100 years ago in 1898. The structure’s storied history can be observed in its charming pressed tin ceiling, brick walls, and arched doorways. Today, McCoy’s hosts a collection of firefighting memorabilia, including turnout gear, hoses, brass, and old photos. The establishment is a regular watering hole for the fine, local firefighters working blocks away who seek a cold beverage and a tasty meal. What is she excited about this month? Main Street America partners with organizations and leaders to protect the historic character of cities and towns across the country. By taking a comprehensive, inclusive, place-based, and people-focused approach, Main Street offers a place for innovative ideas to be shared. This year, Main Street Now has come to Seattle! During this annual conference, they showcases implementable best practices from those who share the goal of creating economic and social prosperous downtowns and neighborhoods. Luckily, we know just the person to learn from. This is the point where Karen’s magic comes in. She will help attendees see the value in highlighting a curated neighborhood while preserving a rich story built on history and relationships. Karen will take over 25 attendees on one of her famous tours – no seriously, the B-E-S-T tour of Pioneer Square around. Athletes often report an elevated sense of concentration and performance referred to as being “in the zone.” Karen has her own version of that; she speaks with her hands, adds personal anecdotes, and makes you feel the passion she feels for this place. It is truly amazing. On this tour, Karen will tell our story – the story of Pioneer Square. She will describe how relationships feed urban planning and architecture here, in addition to exhibiting our local gems, telling extraordinary stories, and introducing attendees to people and places that are sure to intrigue and inspire. If that’s not enough, Karen has more on her plate this week. She will also host the principal of PlaceEconomics, a D.C. based real estate and economic development consulting firm Donovan Rypkema. He is an expert in the realm of historic preservation, economics, and development. Donovan has worked on assignments in 49 states with public and non-profit clients. 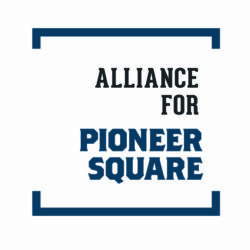 The Alliance for Pioneer Square secured an assignment with Donovan this year through an Only in Seattle grant. 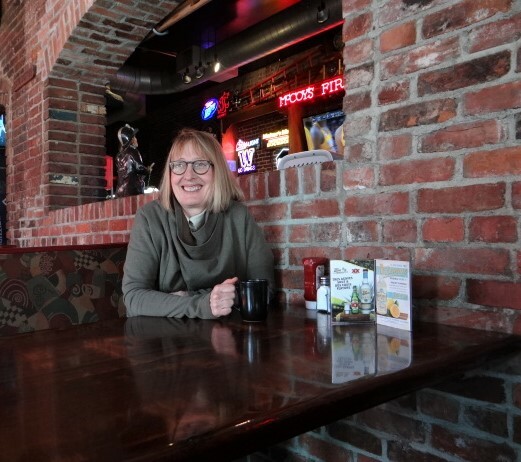 Over the course of this week, Donovan will have in-depth conversations with developers, building owners, property managers, City Officials, the Historic Preservation Board, and others that Karen has bridged relationships with. Donovan’s findings will help the neighborhood’s continued historic building rehabilitation effort. 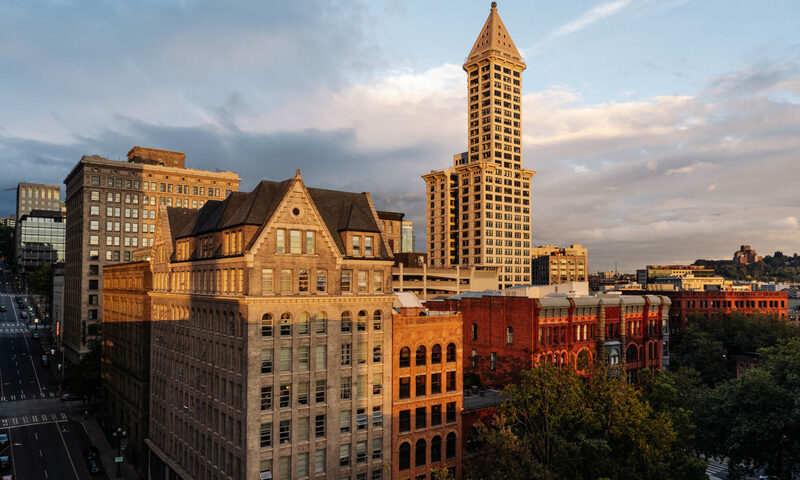 Seattle’s cityscape is rapidly shifting, and yet the structures in Pioneer Square remain. With all of the growth in the city, our buildings will be the only authentic and original ones standing. We are committed to our historic character because it is part of who we are, as a neighborhood, as a community, and as placemakers.